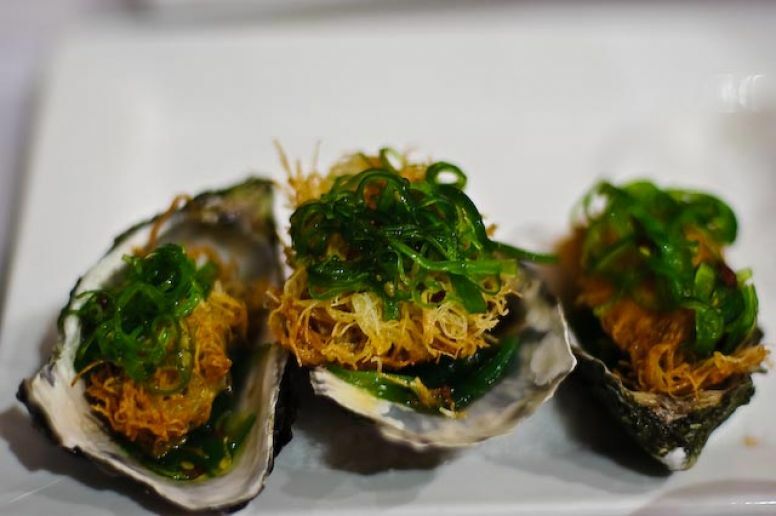 Fish on Parkyn, established at Mooloolaba Wharf, has been serving up delectable modern Australian cuisine (fish inspired of course) since 2003. The restaurant is owned and run by Jon and Sue Koning who source much of the seafood from the wharf adjacent to the restaurant. This means fresh, fresh, fresh seafood every day. The 170 seat A La Carte restaurant has a clean and crisp look with a completely open front that allows all the best smells of the ocean to waft through. 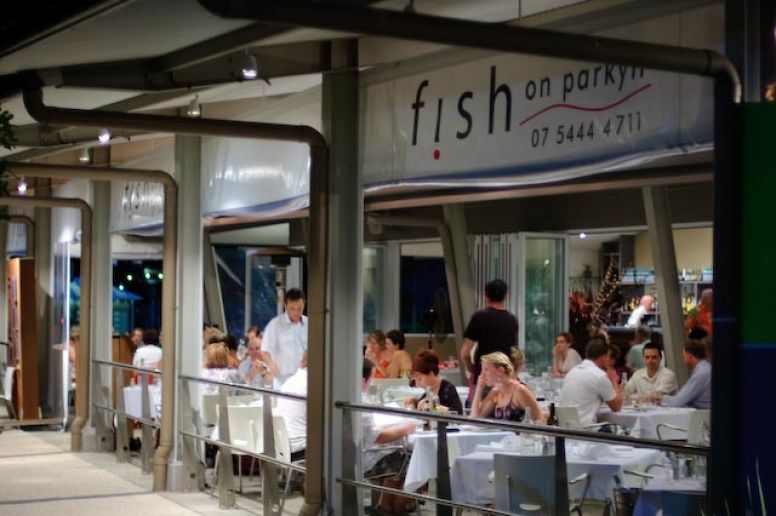 It really is an indoor-outdoor experience at Fish on Parkyn which, let's face it, is the reason why you're visiting the Sunshine Coast in the first place! The polished concrete floor, white chairs and tables and high ceiling only add to the effect. The service at Fish on Parkyn is impeccable. The waiters are there when you need them and away when you don't. 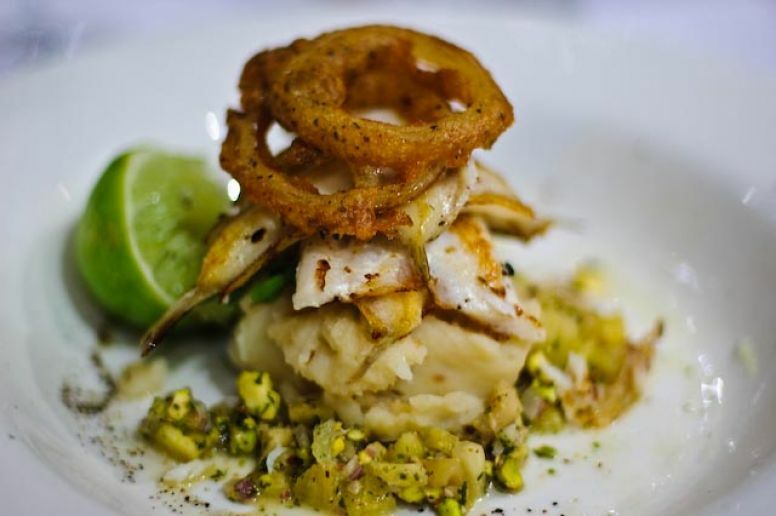 They are able to speak knowledgeably about all items on the menu and will help diners choose between the local whiting with garlic mash, pineapple, lime & pistachio salsa and Moroccan spiced onion rings or the macadamia crusted fresh barramundi, warm pumpkin, sage, cashew & Persian feta salad. Believe me, it's a hard choice! All main courses on the menu range from $27.50 and up, with appetizers from $11.90. Yes, the prices are higher than some other restaurants, but the food is also first rate. This is the restaurant you take your wife to for your anniversary or maybe you go there for a special Friday night meal. There are options on the menu for those that don't hold seafood as their first choice, but really, why are you there if fish ain't your thing? An extensive international wine list complements the food menu, with The Hill unwooded chardonnay from Bellarine in Victoria the cheapest option at $6.50 a glass. Fish on Parkyn is at 25 Parkyn Parade, Mooloolaba. It's a popular place, so phone 5444 4711 to make your reservation. « Recession: So Who's Fault is it Anyway? A little over a week back in Australia and it's like I never left. But, there are a few things I'd forgotten about this sunburnt country.